Today we have released a new version (2018.2) of our BeamworX software suite, a handy all-in-one-installer which contains all the BeamworX programs. We have made various bug fixes and and added quite some new functionality, some of the highlights are mentioned below. Registered users have received a download link and the release notes document by mail. The spline filter can now use cell center heights instead of all the points, this has an enormous speed advantage over using all points. The filtering quality is nearly the same, provided you have already removed the large spikes with preceded filtering, but that is something that is common practise anyway. for example the filtering of one example project took now only 40 seconds to complete, before it took 650 seconds. It is now possible to immediately accept the filter preview changes. When filter preview is enabled a new button (green V) appears in the filter controls.When this button is pressed the proposed changes are accepted and saved instantly. It also exits the preview. There are times that a more advanced selection of area and files is required for filtering. 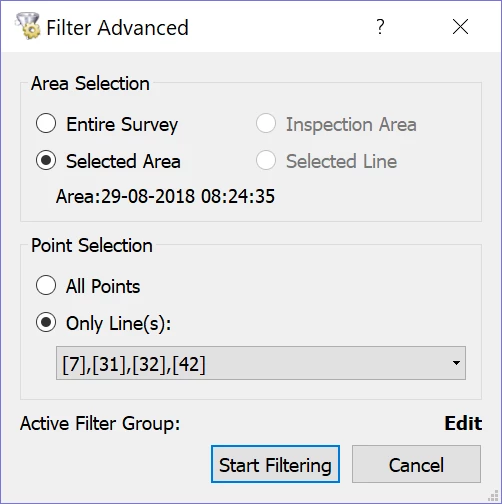 With the new “Filter Advanced” dialog this can be achieved. Here you can make combinations of lines (files) and areas for filtering. The Chart view can now show “Heading up” display, so effectively the ship will always point upwards on the screen and the chart view rotates around it. A north Arrow is shown (part of the features layer) in the lower left. In the settings dialog of the chart view you can select the mode and the tolerance, the latter determines how often the view is refreshed. Added a new blocking setting to the Survey Configuration E/S settings. Allow blocking on user specific beam numbers, e.g. 1-5, 250-255 or 1,2,3,4,6-10,11,20-200. 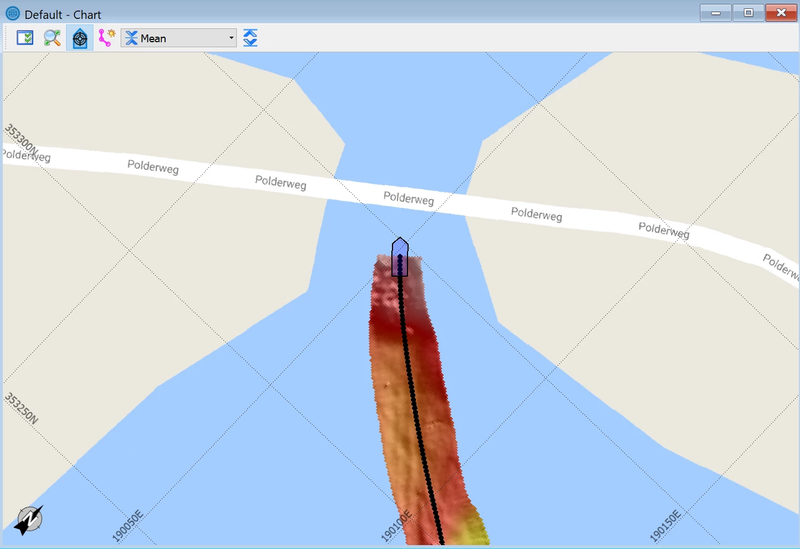 WASSP generation 3 multibeam systems can now be controlled directly from NavAQ. 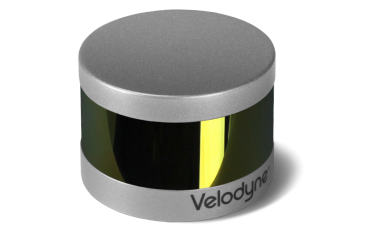 -Velodyne VLP-16 Puck and HDL-32E laser scanners.